yola.com is one of the best webSite Builder company in the whole world. this company was found in the year of 2007 in Cape Town, South Africa.vinny ligham was found this company. they offers different service like:Free, Bronze, Silver, Gold and Premier. free service includes 3 Pages,1GB bandwidth and 1GB storage. Bronze service includes Unlimited pages,Unlimited bandwidth,2GB storage,Use a custom domain,A custom domain,Free private registration,Premium support. Silver service includes Unlimited pages,Unlimited bandwidth,5GB storage,Use a custom domain,A custom domain,Free private registration,Premium support,No Yola branding,Premium style templates,Advanced editing,Mobile-ready website,Publish your website to Facebook. Premium support,No Yola branding,Premium style templates,Advanced editing,Mobile-ready website,Publish your website to Facebook,Full-site search optimization scans,Keyword usage and traffic reporting,Automatic SEO monitoring . they provide you the best quality. They don’t compromise with their service. 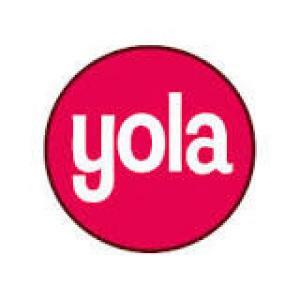 You can order yola.com in online and payment Paypal. Payment by paypal. A lots of buyer from Bangladesh are shopping regularly from yola.com at low cost.